David is the Chief Investment Officer of North American Management and has leadership responsibility for the firm's asset allocation, risk management, and investment strategy. David's investment experience includes founding Rivendell Capital. He spent several years with Cilluffo Associates LP (an event-driven hedge fund), PNC Financial, and Lehman Brothers. David is on the Board of Advisors for FastAsset, Inc. and the Egan Entertainment Network. He is founder of Rivendell Ventures LLC and is a member of Kindal LP. 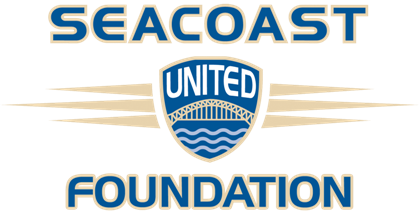 David is Chairman of the Board of Seacoast United Foundation. He is a CFA Charterholder and a member of the Boston Society of Security Analysts. David has a BS in Finance/Investments from Babson College. Randy has been an account executive at Nike for 30 years and has been involved with Seacoast United Soccer Club since his daughters Anna and Maddie played on a variety of soccer and lacrosse teams throughout middle and high school. Randy has coached both basketball and soccer for 20 years, and truly appreciates what SUSC does for student athletes throughout the seacoast region. He and his wife Liz have been married for 29 years and live in York, Maine. Penelope was born in Kent, England and moved with her family to the United States in 1969. After graduating from Tufts University and, prior to starting a family, she worked as an advertising account executive at various firms in New York and Boston. She continues to maintain close relationships with her relatives in England and her love of soccer comes naturally. Her son has played for Seacoast United for the past 6 years and is currently playing for Seacoast United's U16 US Soccer Development Academy team. Penelope has an extensive background with non-profit organizations and has been on numerous humanitarian aid trips, bringing medical and school supplies to remote villages in the Andes Mountains of South America. She has served on several non-profit boards, most recently as a Director of the Exeter Junior Baseball League. Her immediate family includes twin daughters Erica and Victoria, recent graduates of Syracuse University, husband Eric, and son Graham. Adam is the co-founder of Underground Eats (www.undergroundeats.com), an online platform that aggregates, curates and produces alternative dining experiences. Before Underground Eats, Adam founded Me & Goji, a custom cereal company. Born in Barrington, Adam attended Berwick Academy before playing soccer for Northwestern University in Chicago. Also, Adam played for SUSC for eleven years. He currently lives in New York City with his fiancé, Marisha and is looking forward to the World Cup in Brazil! Sarah has lived in North Hampton most of her life and now lives in Kingston with her husband and 2 girls, ages 6 and 3. She graduated from the University of New Hampshire. Sarah has been a CPA since 2001 and works at a public accounting firm. She grew up plyaing soccer and now coaches for various non-profits. Greg Tucker's leadership roles are both professional and personal. Currently Greg is the Chief Executive Officer of Prolamina Corporation, a full service supplier of technology driven innovative flexible packaging. Prior to this, Greg was Chief Executive Officer of Thermal Solutions, Inc. and held senior leadership positions at THermo Fisher Scientific Corporation, Praxair, and General Electric. A lifelong athlete, Greg made history at Worcester Polytechnic Institute carring the distinction of being the top soccer scorer in school history. He uses this experience and passion to not only coach, but lead the Oyster River Youth Soccer Association. In addition, Greg established the Clarence Prevo Fund, a charitable organization dedicated to supporting community and youth enrichment programs. Greg and his wife Corinna have three children and live in Lee, NH. Mike is a science teacher and soccer coach at York High School. He is one of three boys of the late Bob Masi, whom the Seacoast United Foundation named their need-based scholarship program in memory of. Mike and his two brothers played in the early years of the club and all three went on to captain their college teams. Mike played soccer for Seacoast United from 1994-1999 before giong on to play at Bates College. Mike lives in York, ME with his wife Kirsten and their son Garrett. John has been in the hydroelectric industry for over 32 years. He currently manages federal regulatory compliance for TransCanada, which owns and operates 567 megawatts (mw) of hydroelectric and 132 mw’s of wind generation in the US Northeast. Previously he was vice President and Board member of the National Hydropower Association in Washington DC and routinely speaks before national and international industry related audiences. He has been coaching soccer and other sports for 25 years and is currently a USSF licensed coach for Portsmouth City Soccer Club. With two (former soccer) daughters now living in NYC, he and his wife Lynda enjoy watching and supporting their 11-year old son Jackson who has been with SUSC since he was 5. Nothing thrills him more than seeing positive growth in kids through sports and teamwork.